Connect your Arduino to the internet by adding ESP8266 WiFi Module! The ESP8266 Wifi module is a complete Wi­Fi network where you can easily connect as a serving Wi- Fi adapter, wireless internet access interface to any microcontroller­ based design on its simple connectivity through Serial Communication or UART interface. 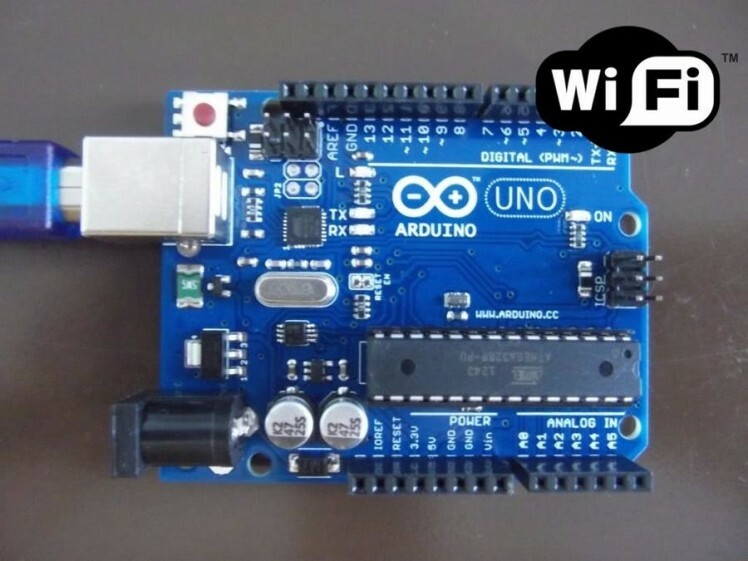 Adding this module to your Arduino UNO will open you to more and exciting projects. There are a lot of ways to use ESP866 for communication. Some may use it to send / receive data online or regularly upload data. For this tutorial I will just show you how can we communicate to Arduino wirelessly using your phone (Android or iPhone) . This will be done offline so no need to have internet connection. The process it pretty simple. 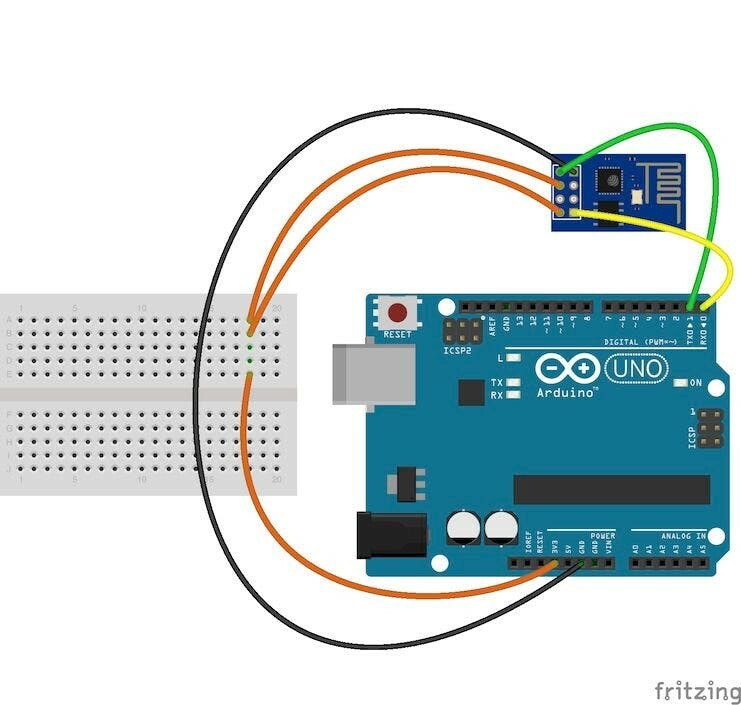 Use your phone to send any command to Arduino. With the help of ESP8266, everything will work wirelessly. connect the red wire to VIN(3.3V) to the +3.3V power from the microcontroller. connect the black wire to the ground. ESP8266 is strictly powered only to 3.3 V. More that that will destroy the module. Connect the VIN to 3.3v to power up and also the ENABLE pin to enable the module. TX is connected to RX which means whatever we want to Transmit in ESP8266 will Receive by Arduino UNO. And vise versa for RX to TX. Upon building this circuit, we now ready to start WIFI with Arduino UNO. Communication with ESP8266 is via Attention Command or AT Commands. Check the AT Commands table attached to review the codes. Once everything is set up, you would notice that your ESP8266 Wifi will be available within the range of your phone. 1. Upload the sketch sample attached here to your Arduino UNO. If your ESP8266 wifi is not displayed from available wifi networks, make sure your Arduino is running and everything is connected correctly. Usually the name of the wifi / ssid will start in ESP following its version name, mine is ESP11. 4. 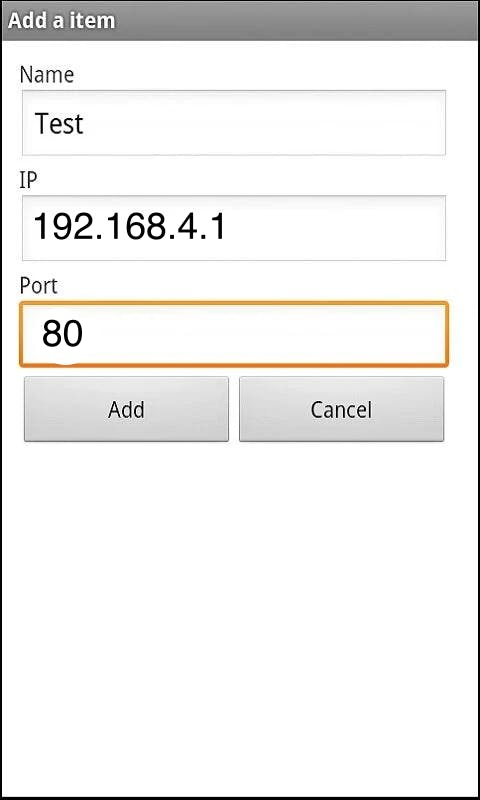 Once connected, get the Static IP address, you can check the IP by going to Wifi Settings of your phone, and click the network info. The default IP Address in AP mode is 192.168.4.1 . 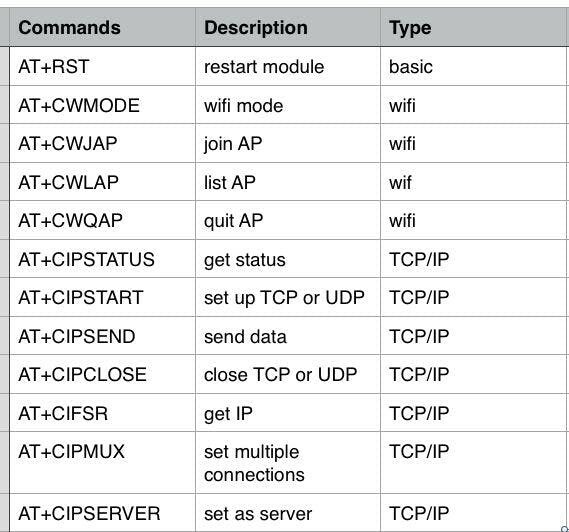 You can change the static IP by following this Wifi.config() reference. 5. Open TCP Client you downloaded earlier. 6. Create connection by clicking connect , Add IP and port 80. 7. Wait for the TCP Console to say "Connected". You can change what response from what you send depending on the logic you put into the code. 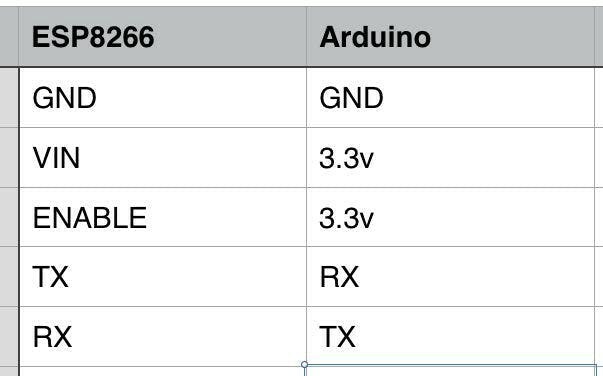 There are different types of ESP8266. Please change the baud rate on the attached code on line 16 based on what your ESP8266 uses. You can see from above that I used my function find(<received message>,<message you want to find> ) to interpret the message and to tell arduino which code to call. I added some function to communicate with ESP8266. * Description: Function used to read data from Arduino Serial. * Description: Function used to read data from ESP8266 Serial. * Description: Function used to send data to ESP8266. char c = wifiSerial.read(); // read the next character. * Description: Function used to send data to UNO. char c = Serial.read(); // read the next character.